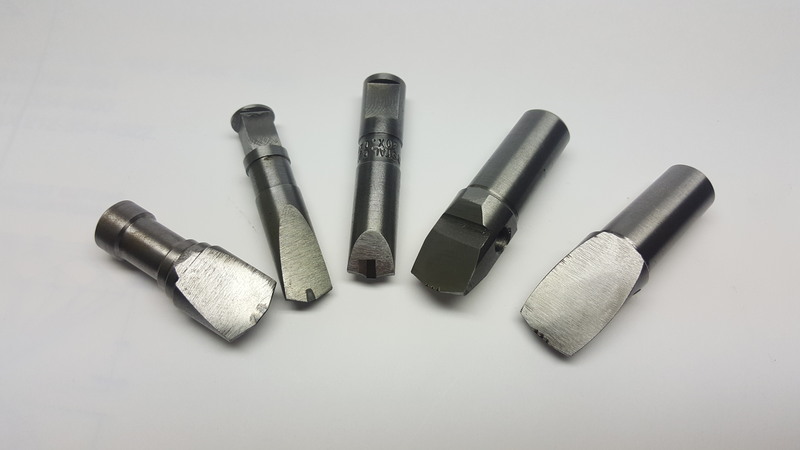 Our mission is for the name Crystal Cut Tool to be recognized as synonymous with quality, integrity and above all honesty. Diamond, the crystalline form of the element carbon formed under conditions of extreme heat and pressure, is the hardest known substance on Earth, having a Knoop hardness of 7000. Next to diamond in hardness is cubic boron nitride which has a Knoop hardness of 4700. Boron carbide is rated at 2750 and tungsten carbide at 1500 on the Knoop scale. The diamond when free of flaws and impurities, is practically impervious to the effect of heat below 1450 Fahrenheit and has a coefficient of thermal expansion of virtually zero. These unusual properties of the diamond make it an ideal tool material for industrial applications which demand a high degree of precision and a long useful life. Carefully selected, shaped, set and properly applied, the diamond tool will consistently outperform others in accuracy, outlast all others in durability.